Newquay’s bus services are an ideal opportunity to get to, around and from Newquay town centre. Leave your car at your Newquay holiday accommodation and step on to a bus to get around without the hassle of parking – and then trying to find the car again! If you are not a regular bus passenger you may find the experience surprisingly simple and worth making a holiday habit. The journeys are relaxing, the service well organised AND using the bus saves the purchase of expensive fuels, reduces congestion and avoids the hassle of finding and paying for car parking. Get to the centre of the action with First Kernow, the main bus service in the county of Cornwall. There’s a great range of tickets available including Day Singles and Returns, Day Explorer Tickets (unlimited one-day use) and Family Tickets. Under fives or eligible concessionary pass-holders travel free! 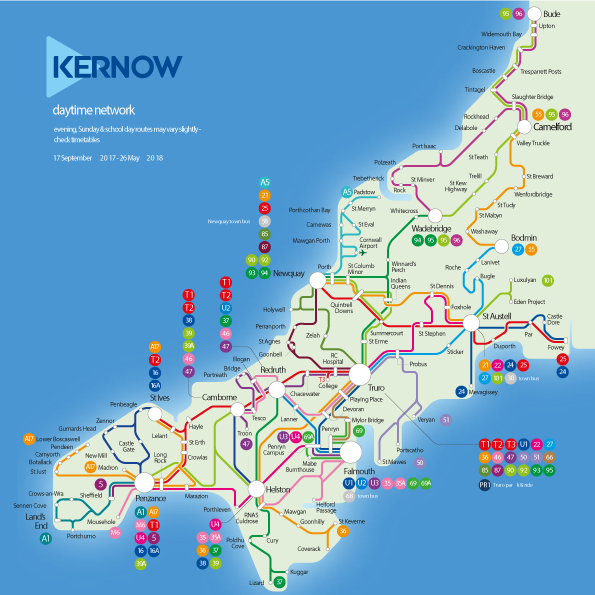 First Kernow have routes to most towns and cities in Cornwall. 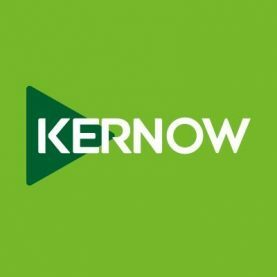 Call at their Travel Shop at Manor Road Bus Station for bus maps and timetables or visit their website –First Kernow – for up to date information about their services. 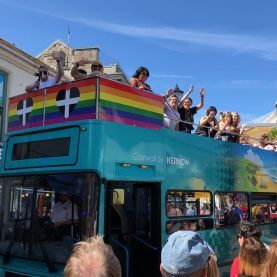 First Kernow bus routes Connecting Newquay to the rest of Cornwall.